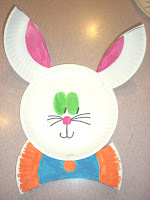 Here are some fun bunnies that I make with the children at the school every year. I wanted to get them out, so my daughter helped me make these to show you. 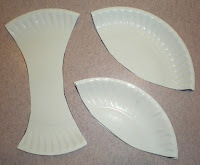 On one paper plate draw the pattern that you see on the picture. Have the children cut on the lines. After they cut them out they will have two ears and one bow. Color the inside of the ears with a pink marker. 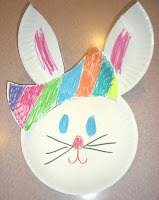 Let them use the markers to draw a face on the bunny. 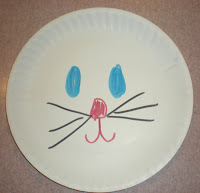 Attach the ears to the plate that has the face on it. I have found that a stapler is the best way to keep these ears on. Now let the children decorate the bow with the markers. 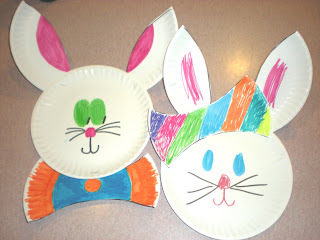 After they decorate it they decide if they want a boy bunny or a girl bunny. 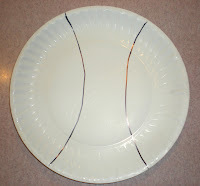 If it's a boy bunny staple the bow under the plate like a bow tie. If it's a girl staple the bow over the ear like a hair bow. All done!